Congratulations to one of my virtual clients, who just reported that she’s lost 10 lbs in two months! A great achievement. We’ve been focusing on tracking her food with an online journal, making healthier choices, and moving more. Notice how I use the phrase “healthier choices” and not “major diet over-haul,” because making small changes is more conducive to creating lasting healthy habits. Most days I have to remind my client to eat MORE calories, not less. Why would I do such a thing? For years, fitness mags have encouraged ladies to eat a 1500 calorie diet to lose weight. This advice is doled out to us with no regard for our current weight, height, activity level, and muscle mass. Should an active woman who is 5’7″ tall eat the same amount of calories as a 5’2″ sedentary woman? Hell no! You’ll find that maintaining your new lean body is even more difficult than your initial weight loss was. And if you’re an active person of a healthy weight just looking to change your body composition (less fat, more muscle), a low calorie diet will keep you spinning your wheels faster than your favorite Fly Wheel instructor. Disclaimer: THIS IS A JOKE. NEVER DO THIS. UNLESS YOU WANT A LIFETIME BACK PROBLEM. In addition to adjusting daily calorie counts to best fit your body type, keep in mind that once you have hit your goal weight, your calorie needs will DECREASE. A person carrying less mass needs less energy. Einstein said that, folks. This is why it’s best to figure out what you specifically need to lose or maintain weight with a total energy expenditure (TEE) calculator and go from there. There are a few really good calculators out there. I like this one: http://www.health-calc.com/diet/energy-expenditure-advanced because it allows for several factors like sleep, activity, and exercise intensity. You may be surprised at how many calories you need to eat to maintain your weight! Once you find out what your daily needs are, you can decrease your calories to create a deficit. I recommend using a food journal to keep track. If you don’t like to journal, I ask that you just try it for one week, in order to give yourself an idea of what it’s like to eat within a calorie range. Finally, please don’t attempt to cut more 300- 500 calories per day. Slow and steady is the way to go! Netflix = fitness? Yes. Having recently finished the awesome second season of Orange is the New Black, I decided to switch over to documentaries. 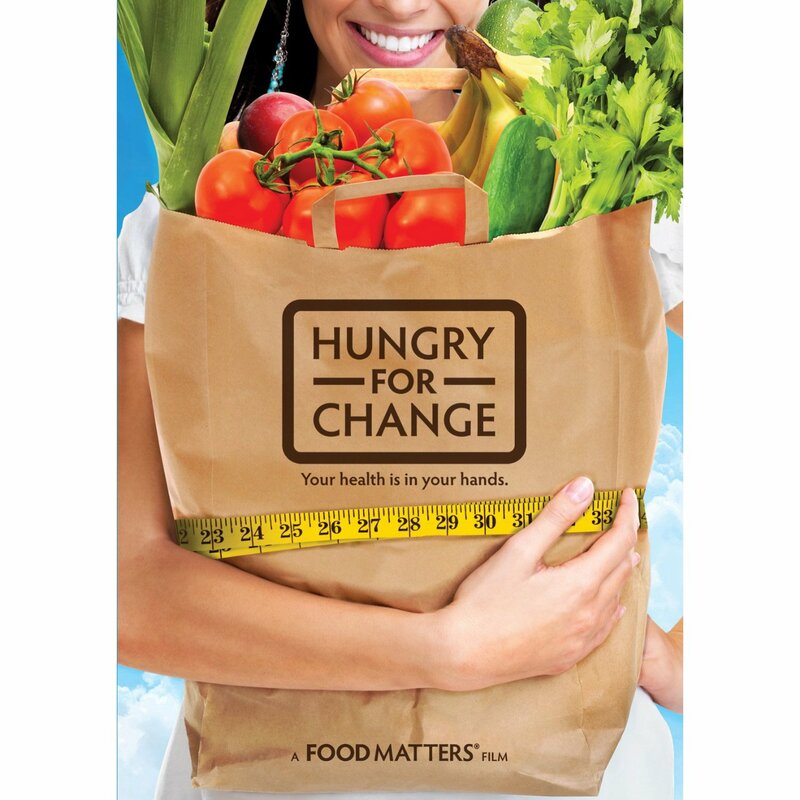 I just finished Hungry For Change, which I highly recommend if you have 90 minutes and an interest in our ridiculous wacked-out diet industry. It’s not our fault that we as a society are overweight and not able to lose the extra pounds. 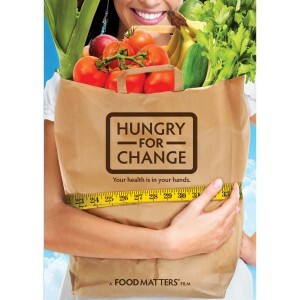 Human beings are genetically predetermined to consume high calorie foods, so that we’ll be prepared in times of famine. And of course, since there is no famine, we get stuck with all that extra weight. The food industry employs tactics used by “Big Tobacco” in the 1960’s to make their products more addictive, like adding more sugar and MSG than ever before. The combination of seeking calories and consuming fast and processed foods means that we are over-fed, yet malnourished. 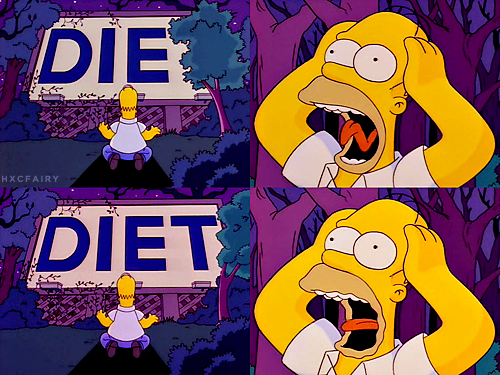 This state of being leads us to seek yet even more calories. We can heal our bodies by eating the right foods like chlorophyll rich foods (dark greens) and gelatinous cleansing foods, like chia seeds and aloe, and obviously avoiding processed foods. It was a truly insightful film, and well worth a look. It’s not exactly a date movie, but it will make you want to eat a date. That’s for sure. To me, checking out the hot new club in NYC always means a new health club. You wouldn’t want to see me dance anyway. Last week I was lucky enough to snag a reservation for the opening of new group exercise studio, BFX in Chelsea. If you like indoor studio cycling, Pilates, and TRX, this place is definitely worth checking out. I took a “Classic Ride” and am looking forward to trying out Pilates. The place is brand new and gorgeous. 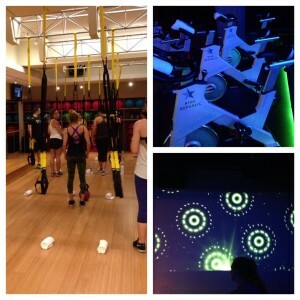 TRX Room, new bikes, and a light show while you ride. What’s the difference between BFX, and Spinning in general–from places like Soul Cycle and Flywheel? At Soul and Flywheel, the instructors take time to do an arm routine with 2 lbs weights while cycling on the bike. Sometimes they do push-ups on the handlebars! BFX (which is an official Spinning facility) is cycling at its purest form, and only focuses on the ride. It’s more athletic than the others, and feels more like actually training and riding outside.